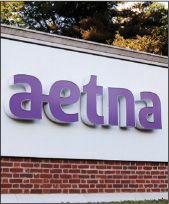 Drugstore giant CVS Health is in talks to purchase Aetna, the third-largest health insurer in the U.S., said Caroline Humer and Carl O’Donnell in Reuters.com. CVS has reportedly offered more than $200 a share for the company, “representing a $66 billion bet that insurers can drive down high U.S. drug prices by cutting out the middleman.” Insurers like Aetna typically pay pharmacy benefit managers such as CVS to help “negotiate down drug prices,” but a tie-up would give CVS an infusion of customers and more leverage in negotiations with drugmakers. 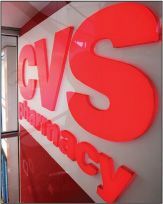 CVS is clearly trying to fortify itself against “the industry-rattling arrival of Amazon into the pharmacy business,” said David Pierson in the Los Angeles Times. The e-commerce juggernaut has secured wholesale pharmacy business licenses in “at least 12 states,” and its potential expansion into prescription drug sales has been weighing on the share prices of CVS and its competitors Walgreens and Rite Aid. To counter the Amazon threat, CVS has moved more aggressively into health-care services to offset “declining revenue at its stores” in cosmetics and groceries. Fears that severe hurricanes in Florida and Texas would stifle economic growth were dispelled by an increasingly resilient U.S. economy, said Natalie Kitroeff and Jim Tankersley in The New York Times. U.S. GDP expanded at an annual rate of 3 percent in the third quarter, and after hitting 3.1 percent in the spring experienced its “fastest growth spurt in two consecutive quarters since 2014.” The news came as consumer spending recorded its biggest increase in more than eight years in September, likely as households in hurricane-hit states like Texas and Florida replaced damaged vehicles. Two of the country’s biggest residential-construction companies announced a merger this week, in a blockbuster $9.3 billion deal, said Rene Rodriguez in the Miami Herald. Florida-based Lennar and Virginia-based CalAtlantic agreed to a cash-and-stock transaction that will make the combined company one of the top three builders in 24 of the country’s biggest metro areas. The tie-up offers the companies economies of scale and the ability to buy “bigger quantities of materials at a lower cost” in the sluggish housing market. Trade officials this week recommended that the U.S. restrict imports of solar power equipment, setting up one of President Trump’s first major trade decisions, said Chris Mooney in The Washington Post. Two solar companies brought the case before the International Trade Commission, alleging that they had been forced into bankruptcy as a result of an influx of cheap Chinese solar panels. But import restrictions are opposed by “most of the U.S. solar industry,” which argues that the move would “raise overall panel prices, costing solar jobs.” The recommendations will be sent to the president by Nov. 13.